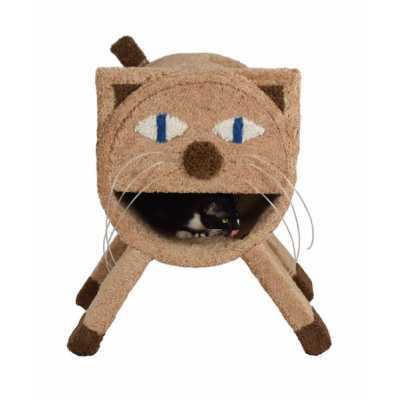 The Molly Face Cat Tunnel is the ultimate lounge for pampered kitty -- and is a comfortable 29"H x 22" W x 24" L! This piece is definitely the cat's meow! Cute and functional. 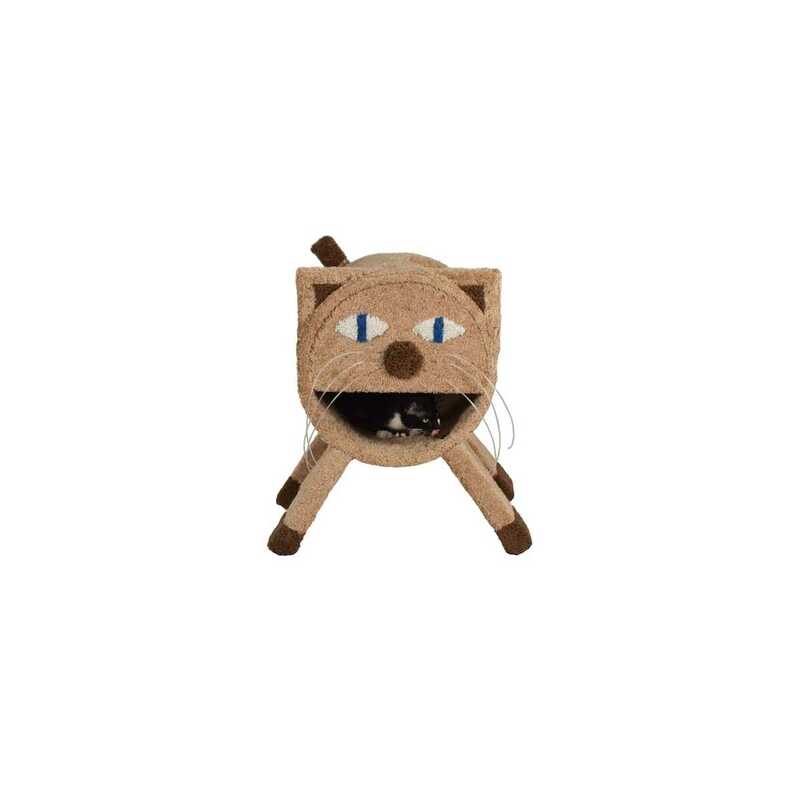 The finest materials available are used to make this the safest possible haven for your kitty. Made with 4" solid untreated heart of pine core posts. The 6" zinc lag bolts provide secure anchoring. The carpet strands are no longer than 6". 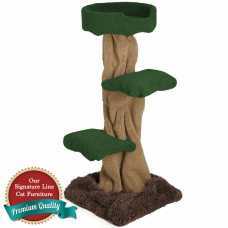 This is all designed with the well-being of your kitty in mind. No glue or harmful chemicals used on this tree. To speed up the process of building your unit, please select a first and second choice for carpet colors. Remember, the shades of carpet may vary from what is shown here for a variety of reasons. We will do our best to match the carpet you get with the colors you choose. If you want a SOLID COLOR unit, please choose the same color for all selections! You may also choose whether you would like the complimentary 2' of sisal rope wound around one of the poles on your unit. 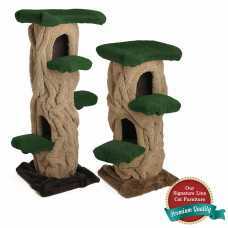 The Kitty Hollow is a series of trees for: climbing in or on; running through it or on it; hidi..
We're pleased to offer something kitty can really curl up in -- our Mushroom Tree with Tub. 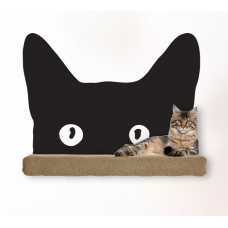 Wit..
Add delightful cat-themed accents to your cat wall system or cat furniture with our wall decals!.. 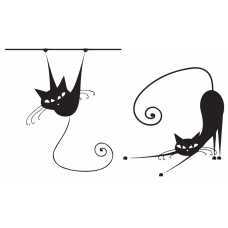 Add delightful cat-themed accents to your cat wall system or cat furniture with our wall decals! ..